Automated production that incorporates both continuous quality checks as well as product identification – these are just two out of the special features that distinguish this medium-sized Finnish company. In addition, the company is specialized in high-performance and extremely efficient machining. The foundation of Konepaja Sihvo Oy, headquartered in Hyvinkää, Finland, was laid almost 60 years ago. “Our company has been operating under its current name since 1983, and I am now the third generation to manage the company with over 40 employees,” explains Simo Sihvo, Managing Director of the company. Tuukka Pasanen, the Head of Quality Assurance (on the left), and Simo Sihvo, the Managing Director of the company (on the right). When it comes to the range of products offered by Konepaja Sihvo, the Managing Director revealed that most of the ready parts are employed for applications in which safety requirements and quality expectations are extremely high. Furthermore, Konepaja Sihvo provides a wide range of services, including 3D measurements according to customer specifications, and assembly of modules that are made of components generally produced by Konepaja Sihvo. In 2012, Sihvo received a major order to produce specific, axially symmetrical parts made of cast iron with a diameter of around 700 mm. Due to the expected batch size of around 10,000 units per year, Sihvo explained that it was clear they would be investing in another robot cell. This had to be done to meet the requirement of the customer: 100% of the ready parts needed to be quality checked. Therefore, Konepaja Sihvo required a complete solution that would not only perform automatic loading and unloading of the machinery, but also made consistent quality checks possible. At the time, Konepaja Sihvo was in close contact with Fastems due to a previous project related to a robot cell. 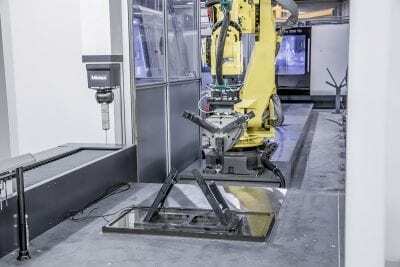 During this project, the system integrator had demonstrated that it is possible to integrate workpiece check into the automation concept for a robot cell. 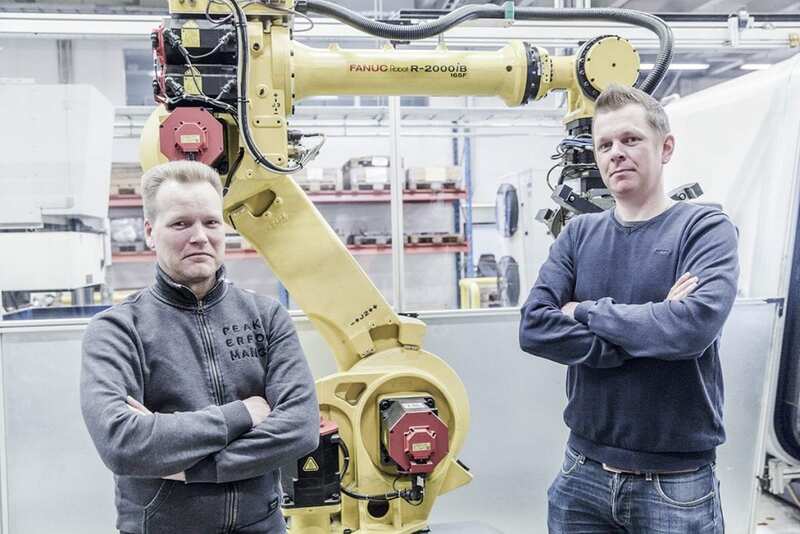 “From our perspective, this is why Fastems was the company we wanted as a partner for the ambitious new project, and therefore commissioned the automation solution in 2012,” Simo Sihvo explains with Tuukka Pasanen, the Head of Quality Assurance, adding: “We were not disappointed, because what Fastems developed for us at the time really was unique in Finland.” Even from today’s perspective, the statements made by Konepaja Sihvo’s Quality Assurance Manager remain true. The robot cell made by Fastems. More about the specifics: The robot cell is comprised of two five-axis turning and milling centers, which are loaded and unloaded by a shuttle robot with a load bearing capacity of 165 kg. A key component of the automation solution is a measuring machine that has been set up in an air-conditioned room within the cell. Once a part has been completed, a robot transports it to the measuring station, for which a roll-up door is opened and then closed again before the check. “The measuring room is equipped with a second roll-up door that allows access to it from outside of the robot cell. This means that along with the parts produced in the cell, we can also check other workpieces when necessary,” Tuukka Pasanen explains.